andti02 wrote: I'm the newbie here. 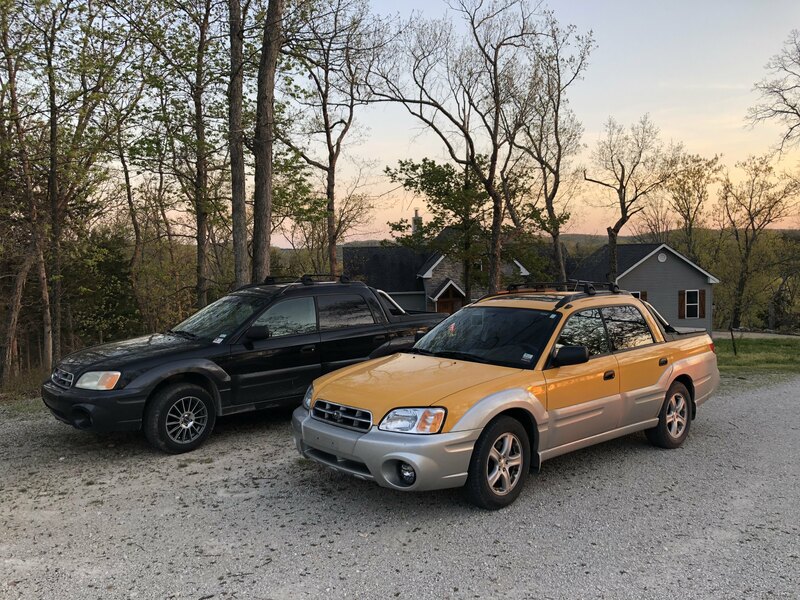 Just picked up my neighbor's 2003 Baja, but my 6th Subaru (kid's driving now). Currently has a little over 295,000 miles and running strong! Located in Snohomish, WA. Just took it in for its airbag recall and now going in for timing belt #3. Neighbor was the original owner and drove it back and forth between Washington State and New Hampshire routinely. Really happy to be part of this forum. Look forward to getting to know everyone! New member here. Just picked up a 2003 with a manual transmission and 293K for $1800. Seller bought the car brand new for his wife, and claims that is has the original head gaskets and timing belt. They weren't a fan of doing major mechanical work to it unless something was actually failing. So far I'm hearing the "supercharged" whine of the power steering pump (flush and rebuild forthcoming), and I can hear a wheel bearing roaring whenever I steer to the right. So I've got a lot of mechanical sorting to do. But I'm looking forward to doing all of it, because I love Subarus. You didn't take it while driving! 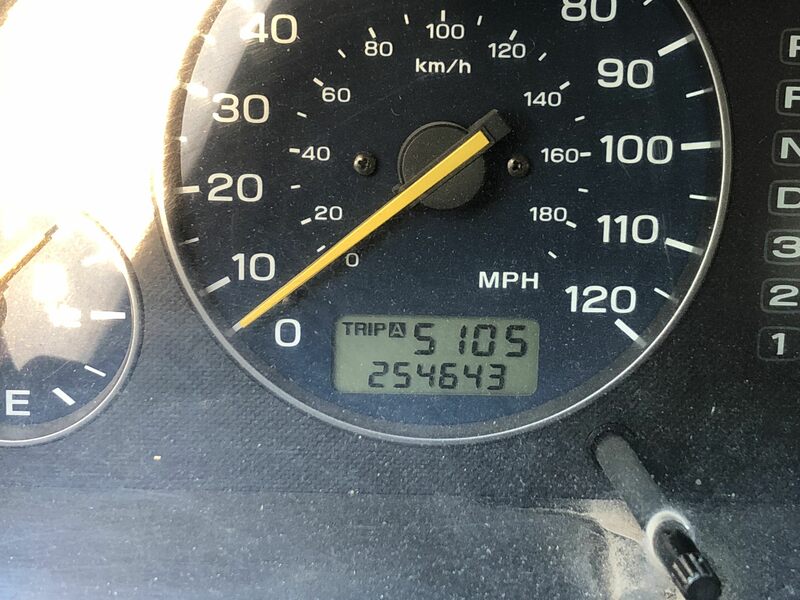 Don't you know you're only supposed to photo your dash while you're doing at least 80mph in heavy traffic (and include both factors in the pic). Okay you caught me- it's photoshopped. Here's the original unedited pic. Thought I'd put up both extremes..
Yep, got a matching ARE cap. 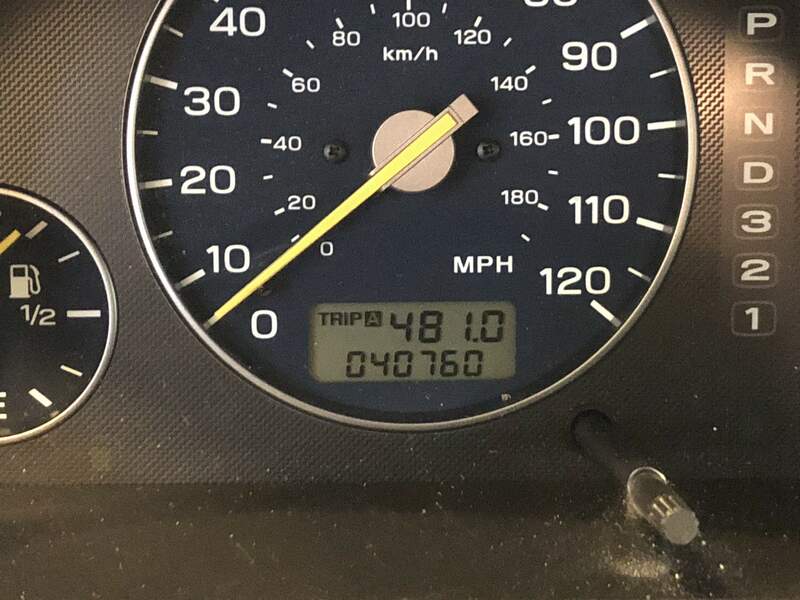 2003 226,084 miles so far. I just hit 219,700 miles and just started having issues with fuses blowing. I need to do some research and work to keep my faithful Subarino going! Like, random fuses blowing or the same ones over and over?